During winter in Thailand (December until February) is the best time to visit the north where it is cooler than in any other part of the country. 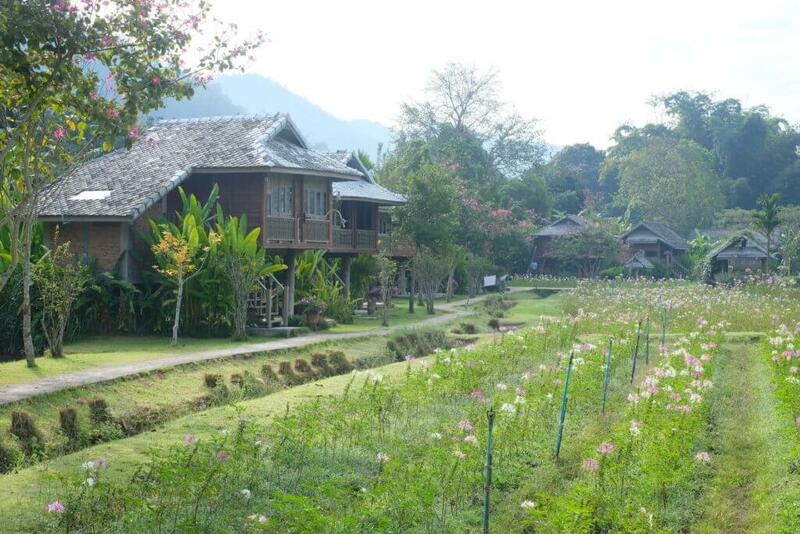 My sister and I decided that we should have a holiday in the ancient capital of Lanna, Chiang Mai. We both have been to this province a few times in the past years, but mainly we spent time in the city center. 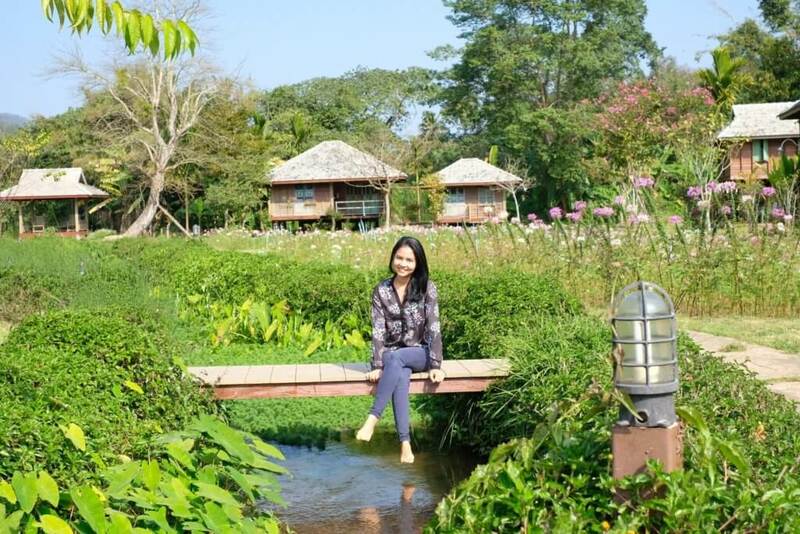 So, we wanted to experience the serenity of northern Thailand during this trip. I spent more than a week searching the internet for the right place to stay. 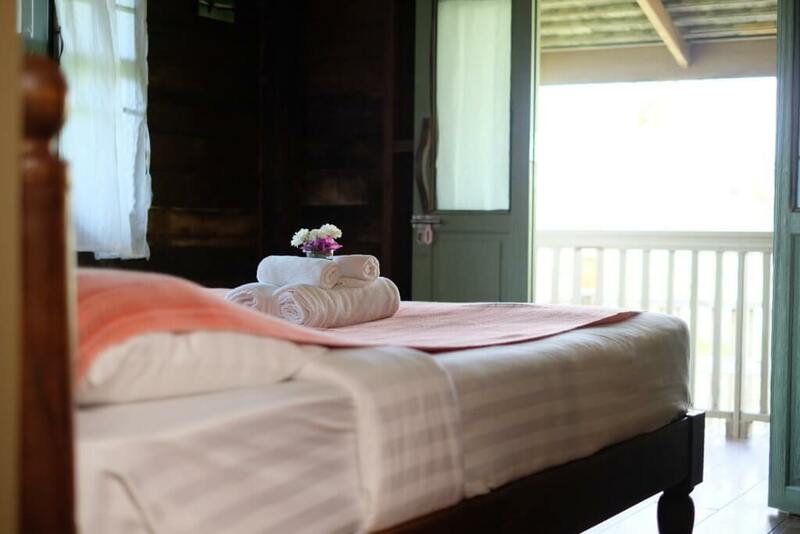 My requirements were a place with mountain view, surrounded by lush greenery, away from the crowds, offering a homely feel, and budget friendly. Fortunately just a few days before our departure, I finally found a place which ticked all those boxes for me in a district called “Samoeng”. To be honest I am a Thai living in Thailand, and I have been to Chiang Mai many times, but I have never heard of the this town before. My sister agreed to explore Samoeng so we were excited to start our journey. 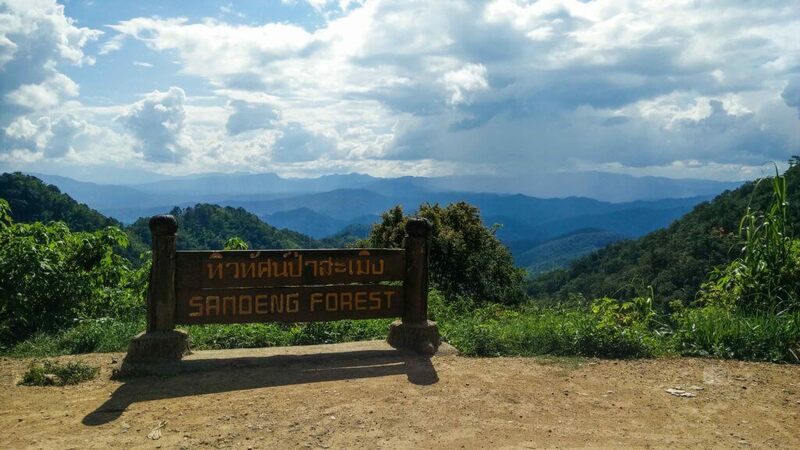 Samoeng is a small town located roughly 50 km from Chiang Mai. 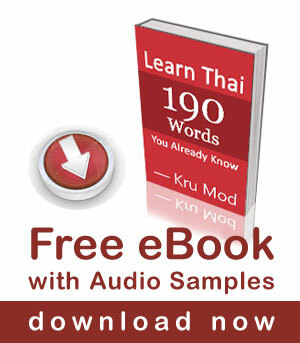 We rented a car (Totota Vios) from a car rental website, it cost us 900 Baht per day. Staff from the car company brought the car to us at the Chiang Mai airport and we started our journey from there. What to do in Samoeng? 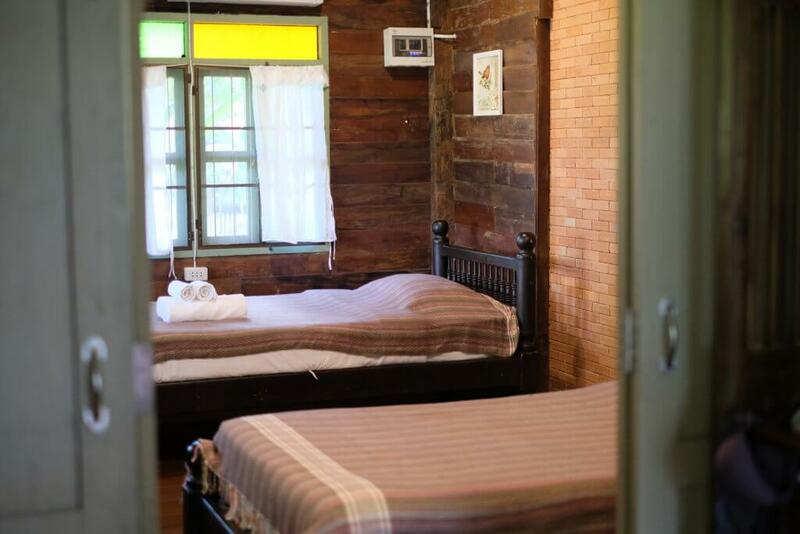 There are two routes to get to Sameong town; the first route is Highway No.1096 Mae Rim-Samoeng. The second route is Highway No.1269 Hang Dong -Samoeng. 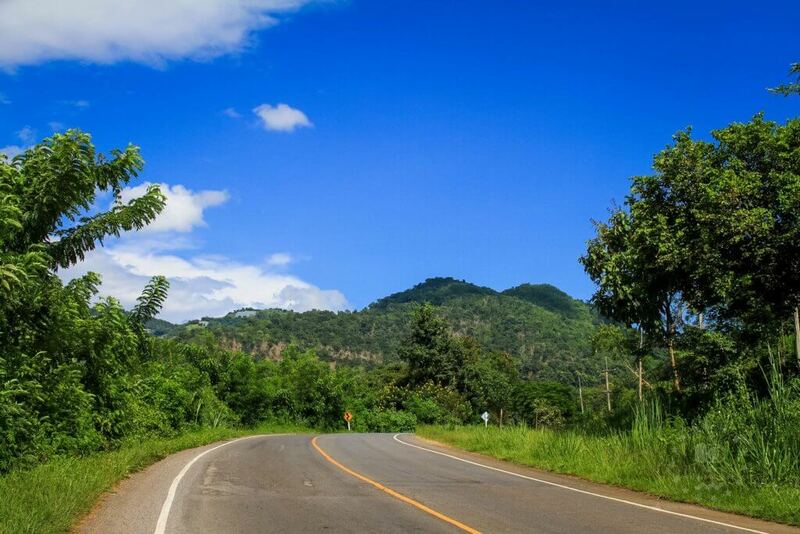 We chose to drive through Mae Rim as it is more interesting and there are more places to stop. Our flight landed at 2 p.m. so we had enough time to stop for some fun before heading to our resort. 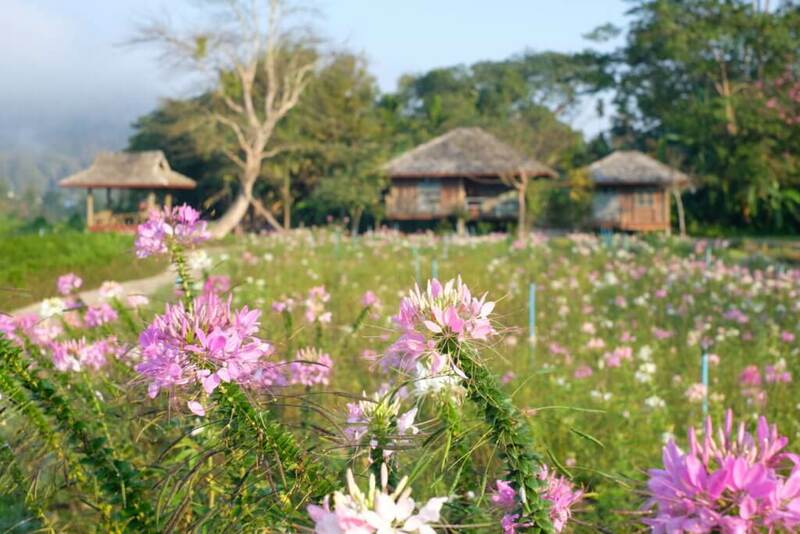 Along Mae Rim road there are many interesting places for you to visit such as Mae Sa waterfall, the Queen Sirikit Botanic Garden, elephant camps, Tiger Kingdom. 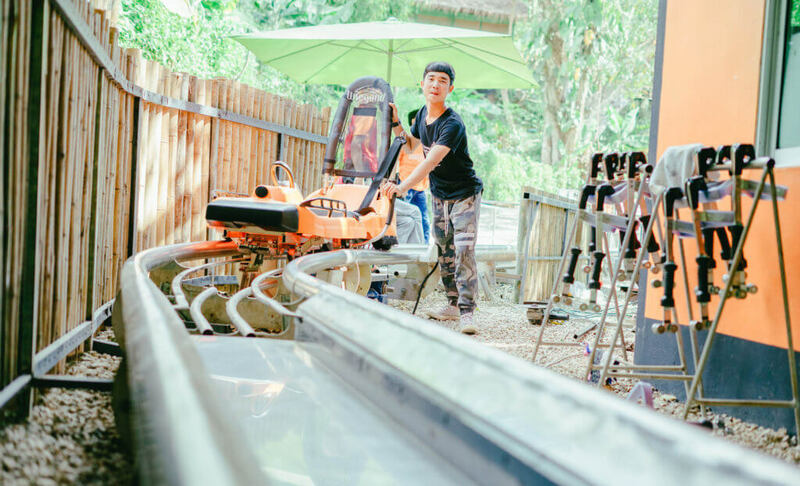 I don’t support the idea of the two latter places, and we have seen many waterfalls and gardens as we grew up in Southern Thailand, so our pick was Pongyang Jungle Coaster Zipline. 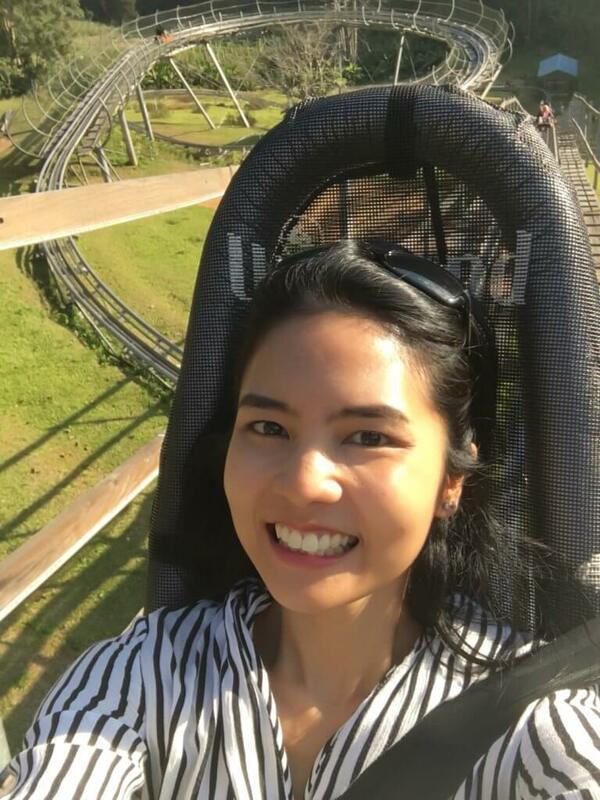 I wanted to do ziplining but my sister was not up for it, so we had a coaster ride (150 baht per pax per play). The ride was good fun and easy to operate. You can control the speed yourself – very slow or pretty fast easily. If you have small kids, they will love the ride too! When I travel I like to go to local food markets even if I don’t need to buy any food. When you go to a local food market you’ll get to really see the locals, including what they eat, how they dress, and how they talk. If you’re looking for a real world cultural insight, a food market is a must visit. We arrived in Samoeng town around 5 p.m. and the market was just 300 meters to our resort, so before checking-in we bought cooked food from the market to takeaway and eat at our balcony. We spotted a strawberry seller and we were surprisingly shocked at the price which was 50 Baht per box (in Bangkok the same box cost more than 500 Baht!). We bought one to have as a dessert. They were delicious! We woke up to the first beautiful morning in Samoeng, and after breakfast we were ready to explore the town. Not far from our resort (less than 5 kilometers), we saw a sign to a cave. I recalled visiting a couple of caves in my childhood in Krabi and Trang province. Something about a hollow space underneath the earth that’s big enough to walk around in and explore just seems exciting to us. 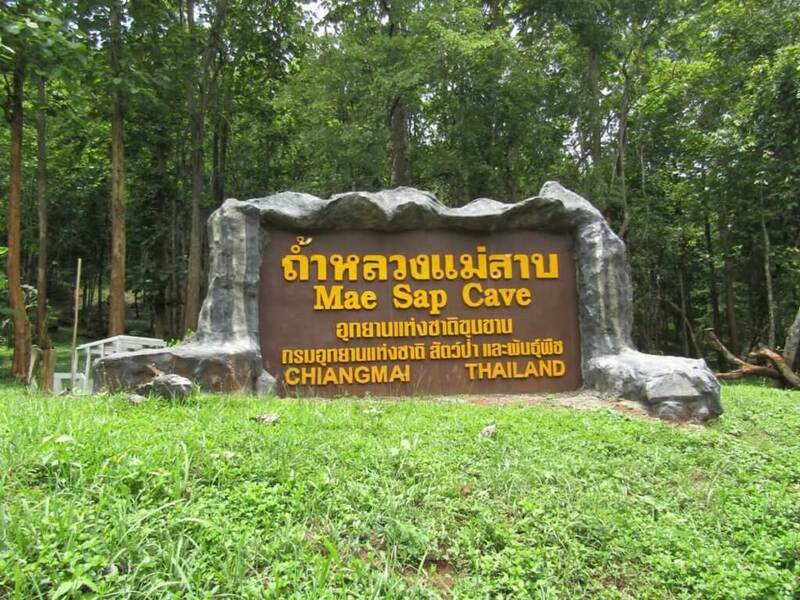 Mae Sab caves consists of four caves which are 1.ถ้ำหลวงทางน้ำ Tam Luang Tang Nam 2.ถ้ำอุโบสถ Tam Ubosot 3.ถ้ำมรกต Tam Morakot 4.ถ้ำเพชร Tam Petch. 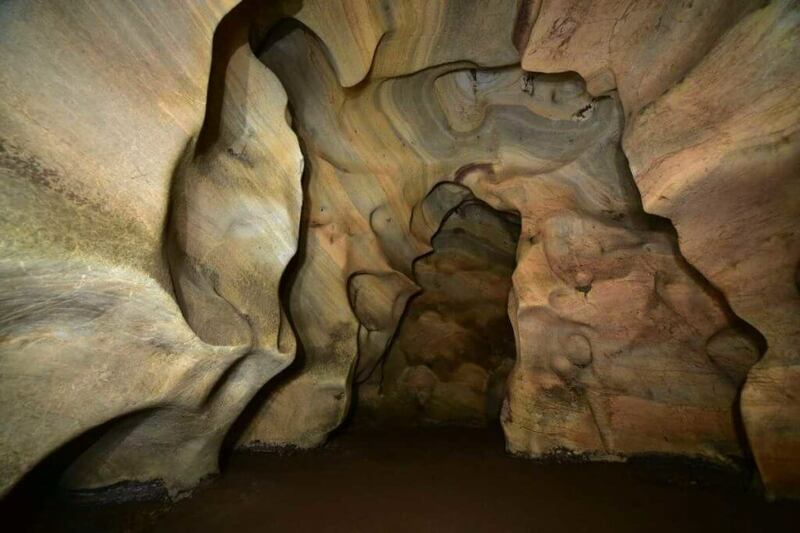 The cave is a medium-sized cave with two floors. The upper part is a hollow where you can see the sky, like a crater. The lower part is a hollow about 150 meters deep throughout the mountain. We met with a lady guide and a staff from the national park. They guided us in to the caves for 150 Baht, and we also got a torch each. You can go in by yourself if you want to. I enjoyed the fact that we were the only group of visitors there. We were told that the cave used to be a monastery. Khun Khan National Park was afraid of natural damage and it arranged the monastery to move out. We also saw some bats and many beautiful stalagmites and stalactites. 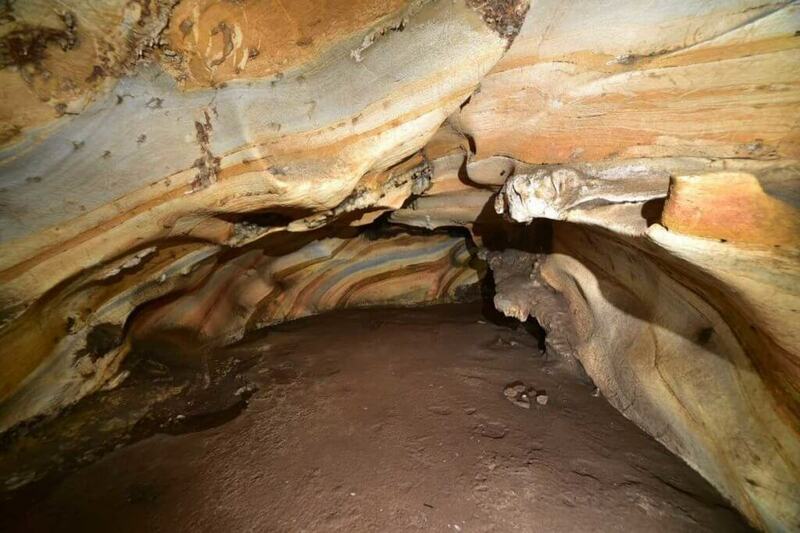 The inside of the cave was quite cool and airy, creating the pleasant atmosphere. 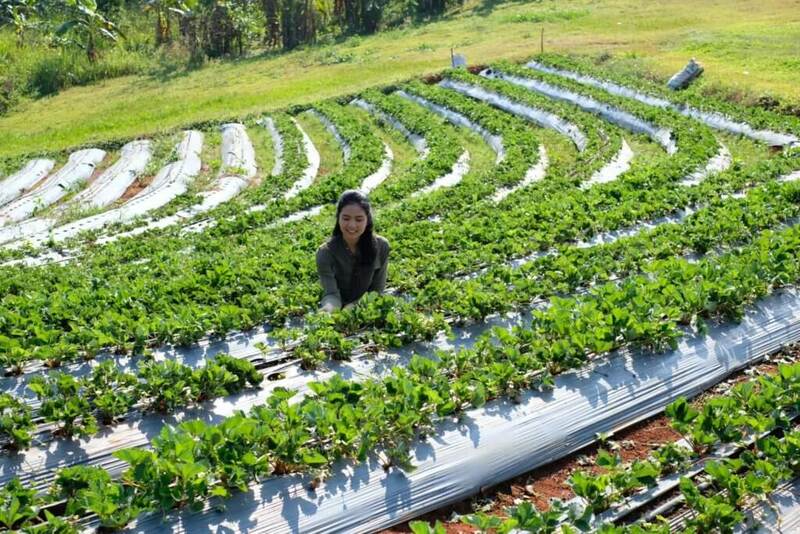 Samoeng is famous for strawberry farming. It is home to the largest strawberry plantations in the country. There are numerous numbers of strawberry gardens in this area. 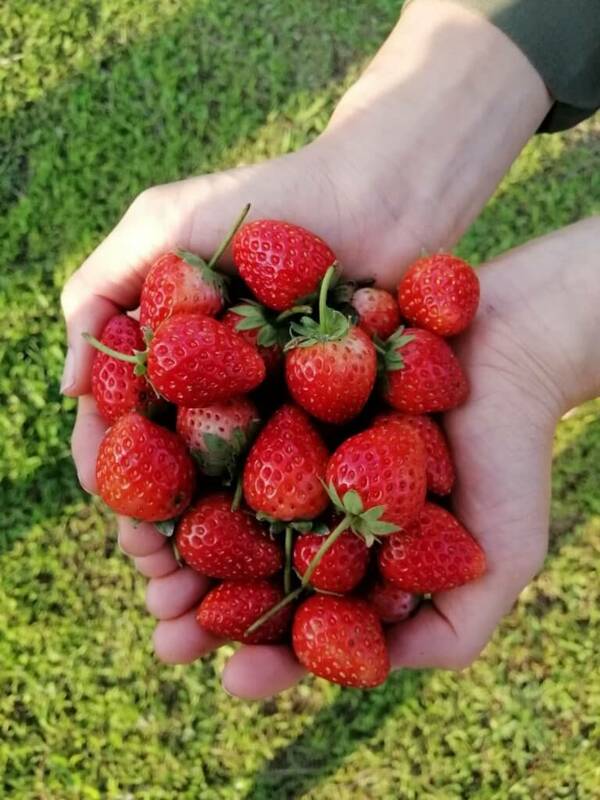 My sister and I are both spontaneous travelers – we didn’t plan ahead where we wanted to go or what we wanted to see, but picking fresh strawberries was the only thing in our to-do list. Strawberries that are available in supermarkets in Thailand are mostly imported from Korea, Japan, and USA and they are quite expensive. Therefore we didn’t want to miss tasting freshly picked local strawberries while in Samoeng. After visiting the cave, we drove to a farm called Nop-PhuPha Garden where they grow organic strawberries. The farm is big and has beautiful mountains as a backdrop of the garden. There is a restaurant on site, we had nice relaxing lunch here. Their strawberry smoothie was very refreshing and taste of real strawberry (not like in Bangkok where most smoothie used strawberry syrup). After filling our tummies with delicious food, we sparked into action! We got a basket and just jumped into the field. You can pick as many strawberries as you like, and weigh them then just pay for the amount that you have picked. The price is 300 Baht per kilogram. The strawberries here are not big in size but they tasted so good, they were not overly sweet but very juicy and refreshing! This was the first time I ever tasted fresh strawberries straight form the plants, and I am glad I came! There are also ATV rides and tents available to rent here. For me, the best part of this place besides fresh strawberries was the clean crisp air and the beautiful scenery. TIP: There is the Samoeng Strawberry Festival that takes place every year across a long weekend in the middle of February. This year it takes place on 6th-10th February 2019. 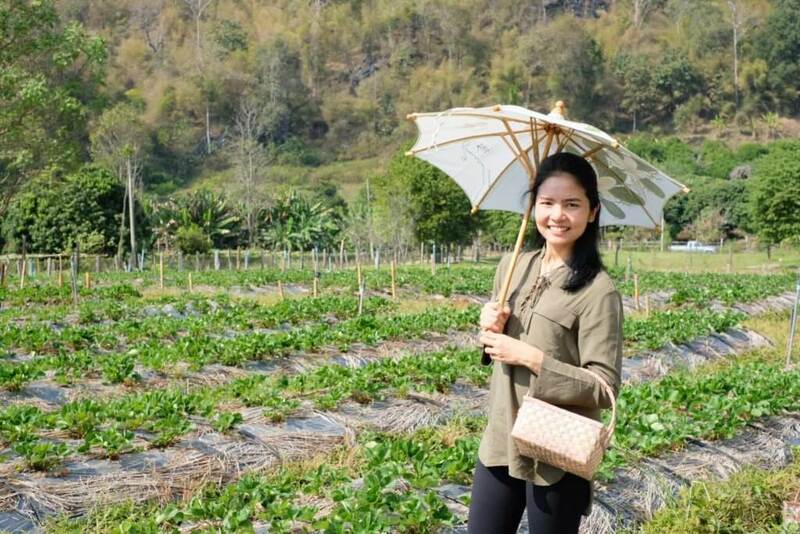 This fruity five-day extravaganza showcases the delicious and extensive strawberry-growing abilities of the Samoeng district, in Northern Thailand. Plan your trip during these dates to enjoy the fun events. There are a few guesthouses, camps and resorts in Sameong, and I was very happy that I found “หลองข้าวสะเมิง LhongKhao Sameong”, it was an absolute gem. 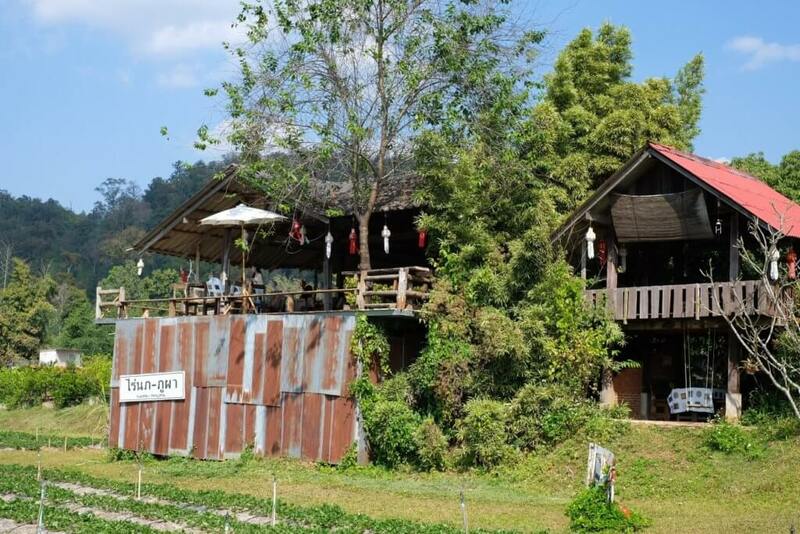 This place offers the accommodation in which modified from a barn in the northern area or to be exact they are called Lhong Khao หลองข้าว which means ‘barn’ in northern dialect. 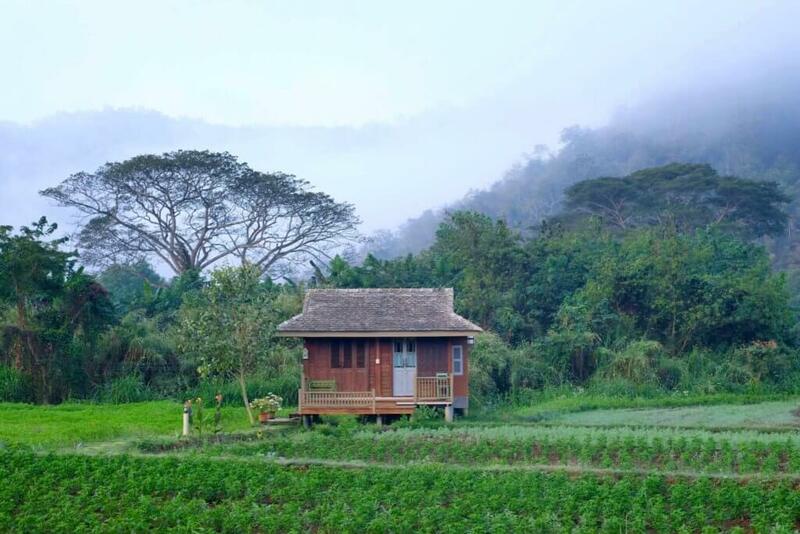 The houses are nestled in between the agricultural farmlands (during August to November you will see rice fields, and the rest of the year will be beautiful tropical flowers) with stunning views of misty mountains in the background. We got a warm welcome from “auntie La”, a very kind manager/housekeeper, and “Long”, a particularly handsome dog, which is the resort’s best-known staff member. We were very lucky that on the first morning we woke up to find beautiful fog hovering above the moutains in front of our homestay. The temperature was around 18 degree Celsius (as a Thai I needed to wear a cardigan). 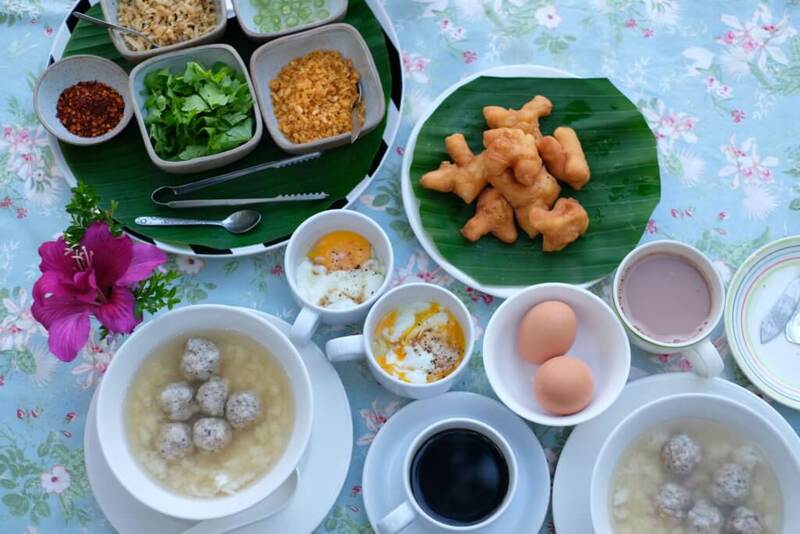 We walked around the flower fields and filled our lungs with fresh and clean air, then we were served with homemade Thai breakfast – chicken and rice soup, and Pa Tong Go (deep-fried dough). Our tummies were very happy. My sister and I stayed in a two-bedroom cottage which has air conditioners, but we didn’t need them as the temperature was nice and cool for us at night. 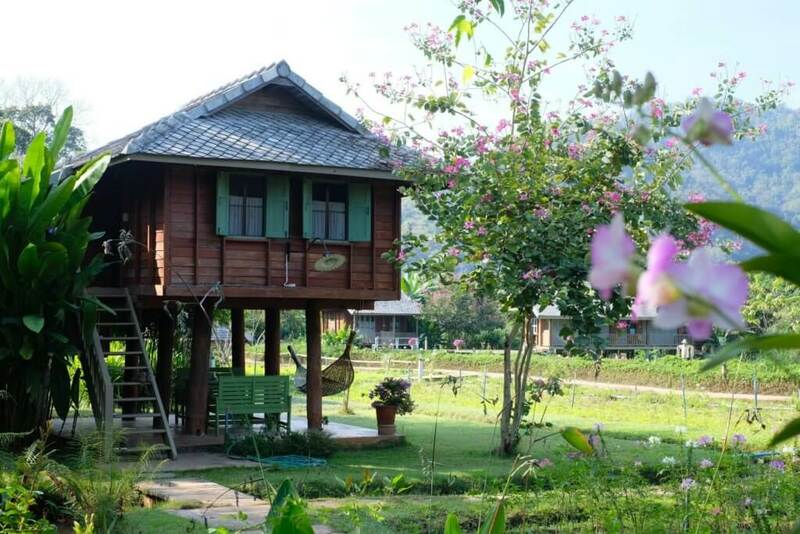 Coming from Bangkok where everyday I hear traffic noise, my favourite part of being here in LhongKhao Samoeng was waking up to the birds chirping in the morning, and go to sleep with the insects singing at night. There were free bicycles for guests to borrow, so my sister and I explored our surroundings on two wheels on the second day. I loved that feeling on the bicycle when the cool refreshing wind blowing through my hair which is something I don’t get to experience in Bangkok. Also we were delighted to discover a nice cafe in the neighbourhood. If you are seeking for a place to unwind and escape from the hustle and bustle of the city, this tranquil place is your perfect getaway. 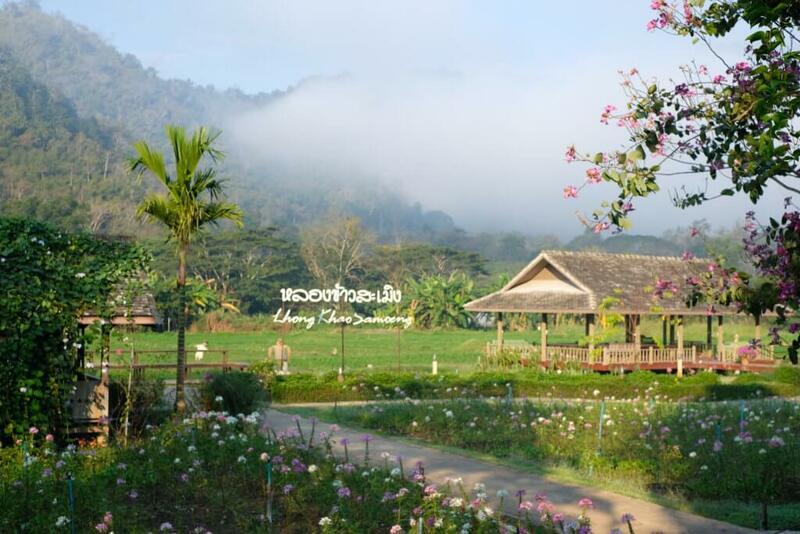 Chiang Mai is best visited during the cool season – November to February – when temperatures are mild and rain is scarce. The hot, dry season runs from March until June, but the temperatures can rise above 35 degrees Celsius (95 degrees Fahrenheit) and the humidity is utterly draining. 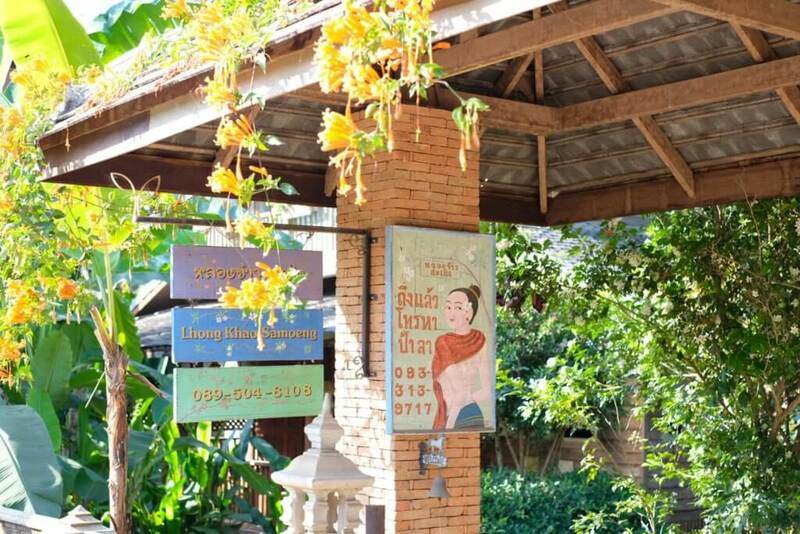 Songkran in April is Chiang Mai’s biggest festival – and biggest party – but book well ahead for transport and accommodation. Chiang Mai’s rainy season runs from July to October and is characterized by torrential downpours, but they tend to be sudden bursts that only last for an hour or so rather than a steady stream of water. 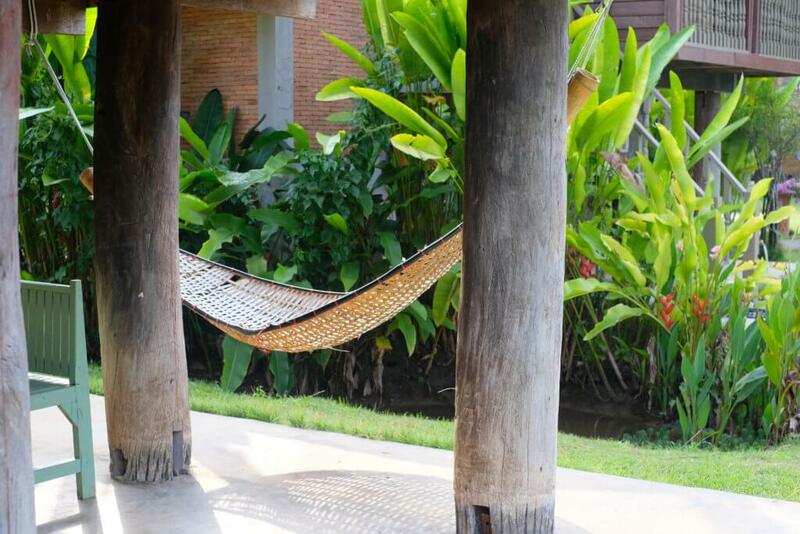 Do you want a break from all the temples and the markets of Chiang Mai? Would you like to see some beautiful green landscapes? If you’re looking for a place where you can relax and recharge away for the distractions of a big city, come to Sameong. 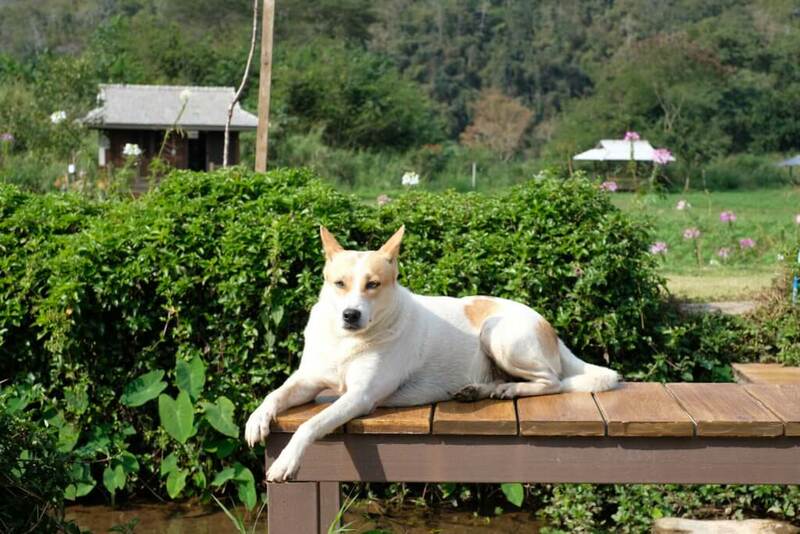 Tips: I found LhongKhao Sameong through Airbnb. 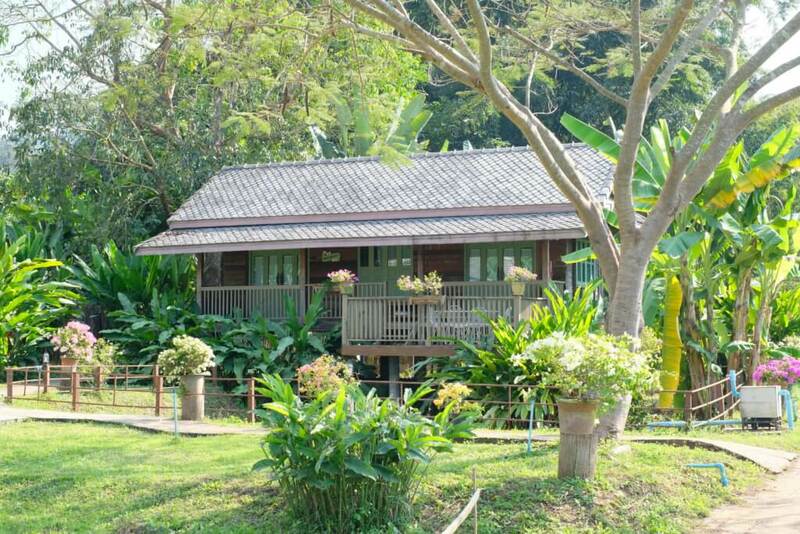 For those who like to use Airbnb service and want to get a discount, you can use this Airbnb link that will give you up to ฿1,200 ($40) off your next booking.